Today’s updated post is about wolves, which play an important part in the novel. Again, the ‘extra’ parts are marked with asterisks. So, why did I choose wolves to feature in the story? Apart from being one of my most favourite animals, and the fact that they’re associated with goddesses of the moon and the hunt, it’s because they are highly intelligent and social. Another reason – what might be termed a perverse one – is that wolves were persecuted. I do not wish to single out the Roman Church, but, historically, they took advantage of the medieval peasant’s superstitious fear of the wolf. In the Middle Ages, wolves were a real threat to the peasant’s way of life because they attacked domestic animals. Occasionally, a starving wolf would kill a traveller. During the Black Death, with too many dead bodies and not enough space to bury them, starving wolves did eat the dead. And, in times of war, packs of wolves were known to follow armies, to feast, mainly, on the dead horses. However, I don’t believe wolves eating people was as regular an occurrence as was claimed. The ‘party line’ about wolf attacks was more likely to have been used as a way to ‘encourage’ peasants to remain with and continue serving their feudal lords. Especially during the time of the Inquisition, wolves and other ‘undesirables’ like gypsies were caught in the net as the Church fought to suppress political unrest and tighten its influence and control over the populace. Tales were told to frighten the people into avoiding the woods because that was where man-eating wolves and terrifying witches lurked. A nocturnal creature, the wolf was more likely to be seen at dawn and dusk. Because the moon is mainly associated with the goddess, so the wolf was linked with her and the moon, and with the night. This added to the wolf’s fearsome reputation because the night was connected with things that cannot be seen, that exist in the shadows, things that can only be considered sinister. By making the wolf an integral part of the story, I wanted to show the more benevolent, caring side of a creature better known for its fearsome reputation. * As we know, wolves live in packs made up of an extended family; their social structures are more sophisticated than people realise, I think. The typical pack size is about 5 to 8 individuals but can be as small as 2 or as large as 15 or 20. It’s common for only one female in a pack to become pregnant, typically in April and May. The gestation period is about 63 days. The pups are usually born in a den specially excavated for the purpose. The normal litter size is about 4 to 6 pups, though the number born depends on how much game is available and the number of wolves in the area. The pups are born deaf and blind. While they are able to hear after a few days, their eyes don’t open for another 11 to 15 days. They are usually weaned at about 5 weeks. I find this really cute – when they howl for the first time, around 4 weeks, the sound is so sudden, it startles them. Sadly, with high mortality rates, not many survive. But those that do have the attention and affection of the entire pack, not just their parents. The pups nuzzle the adults and play with them. Their social bond is so obvious, it was even commented on favourably in the 16th century, at a time when wolves had a particularly bad reputation. Today, I’m sharing a previous post that I’ve updated with more information on the setting of the story. I’ve marked the parts I’ve added with asterisks. I don’t think I made a conscious decision as to what kind of world to use in the ‘Moon Goddess’ story. When I started writing, it felt right to set it in a medieval-type world, similar to early medieval England. Using that as my base made it easy in that I didn’t have to think about the laws of nature and physics; they would be the same as in our world. As for the inhabitants, there wouldn’t be any other races, other than humans. Most of the other factors that are taken into account when it comes to world-building are basically the same as that of medieval England, including the physical features of the land, social organisation and daily life. A lot of my research was to do with what life was like then. 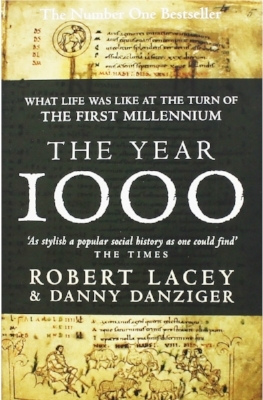 I dipped into a few books and online articles but the one book I found invaluable was ‘The Year 1000: What life was like at the turn of the first millennium’ by Robert Lacey and Danny Danziger. They used the Julius Work Calendar as their base to discuss how ordinary people lived through the year with the chapters divided into the months of the year. This Calendar is thought to have been written around the year 1020. Its layout is 12 months written on 12 pages; each sheet headed with the name of the month and the sign of the zodiac, which I, personally, found interesting. The days of the month are listed down the page and, right at the bottom, are endearing little illustrations showing the task of the month – for example, January depicts ploughing; May shows shepherds with their flock; and August, harvesting. Underwear was made of coarse hand-woven wool which made it scratchy; only the wealthy could afford linen garments. Buttons had not been invented so clothes were fastened with clasps and thongs. Cutlery hadn’t been invented; the eating fork was only invented in the 17th century. When you went to a feast, you had to take your own knife. There was no sugar so honey was used to add sweetness. The absence of sugar meant there was no dental or jaw decay. Bread back then was more important than meat, milk or vegetables; it was round, coarse and flat, with the texture of pitta bread. There were copious varieties of fruit including apple, pear, plum, fig, quince, peach, and mulberry; also, chestnuts, almonds and hazelnuts. Vegetables included onions, leeks, celery, radish, carrots, garlic, shallots, parsnip, cabbage, lettuce, parsley, dill and coriander. But there was no spinach, broccoli, cauliflower, runner beans, Brussel sprouts, potatoes, and tomatoes. Neither was there tea, coffee or chocolate. Village society usually consisted of the lord of the manor/castle; his officers (reeves and bailiffs); the priests; and a peasant population of sokemen (or freemen who paid cash or goods for the land they rented), villeins (bound to the land and could not leave to farm elsewhere) and slaves. The houses of the peasants were very basic with, possibly, only one small window to minimise drafts; only the rich could afford glass in their windows. This meant the inside was usually dark. The floor was flattened earth, and there was usually either 1 or 2 rooms. The furniture was minimal, consisting of a table and stools, maybe a chair. With the cooking fire constantly lit, the accumulated smoke must have been unbearable. One of the things that surprised me was discovering that people in those times were tall, similar to people of today; they were strong and healthy. Many lived in the countryside on “a simple, wholesome diet that grew sturdy limbs, and very healthy teeth.” They were practical, skilful with their hands. I guess if I’d stopped to think about it, I’d have realised just how mentally adept they must have been; their knowledge didn’t come from books as very few could read. Everything they learned they did by observing and imitating, “usually by standing alongside an adult who was almost certainly their mother or father, and by memorising everything they needed to survive and enrich their lives.” And they remembered it all! Life for the average medieval person was very routine, with most of the time spent working the land. 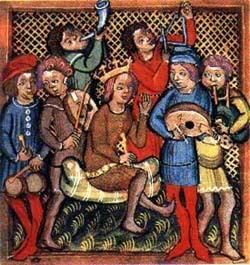 It’s no surprise that social activities were very important, as was music. Weddings were traditional folk ceremonies, a ritual of toasts, vows and speeches enjoyed with the rest of the village. The laws of the time were tough and very matter-of-fact. With gallows positioned outside every town and at crossroads, hanging was the most effective deterrent in an age with no law-keeping force or prisons. ‘MOON GODDESS’ IS NOW PUBLISHED AND AVAILABLE TO BUY!!! It all happened slightly quicker than anticipated and I admit to being caught by surprise. I was away on Saturday… see what happens when I take my eye off the ball for one minute?! This whole publishing malarkey is not as straightforward as some would have you believe. Though I guess being self-published makes a difference. The procedure has progressed in fits and starts, and I made the ‘interesting’ discovery that Amazon US works independent of Amazon UK. 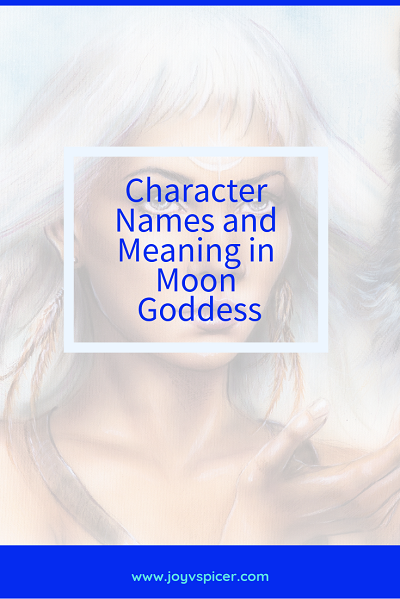 ‘Moon Goddess’ is available on Kindle (UK and US) and in ebook format on Nook, Kobo and iTunes; it's also available as paperback on Amazon and direct from CreateSpace. Even though I’m a ‘new’ author, I know that authors would not get past the starting line without people like you – readers. I don’t know how many people read my blog posts, but I am very grateful to those of you who do. And I want you to know your support means the world to me. The same goes for those who have read my stories. I am so excited… and nervous to put this baby of mine out there. I cannot believe I am finally able to share this story after all this time. I honestly hope you enjoy ‘Moon Goddess’. I just ask one thing in return; if it’s not too much trouble, I would appreciate honest reviews, which apparently go a long way in helping authors. And please do let me know what you think of it, either in the comments below or via email – I’d love to hear from you.